A short blurb in the church bulletin alerted me to the fact that Shipshewana, in Indiana, was hosting a Quilt Festival in late June. With some quick adjustments to work schedules, my three quilting amigos and I were off on a road trip. We coasted into town, having enjoyed the passing landscape of Amish farms and horse & buggy traffic, and headed in to the Event Center to see the show. 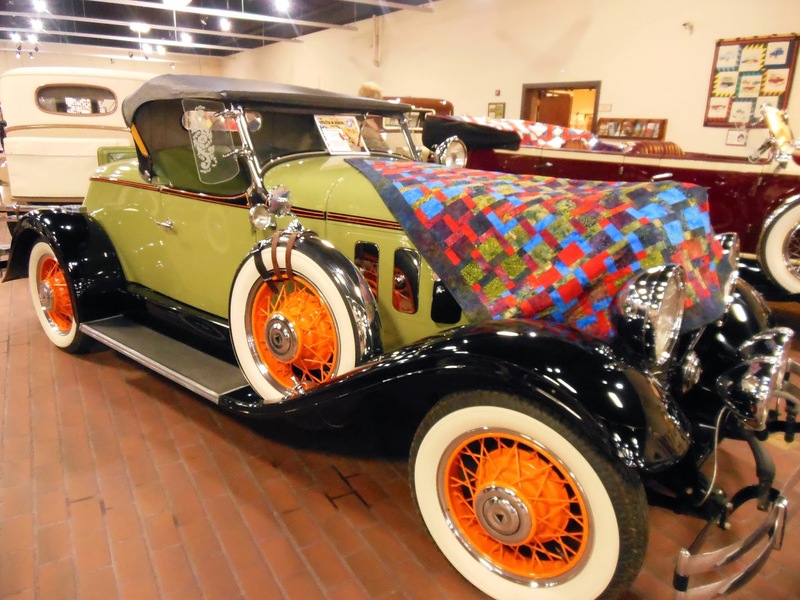 Maybe because I’d never seen a display quite like it, I was fascinated by the Quilted In Honor exhibit, where quilts made to support Operation Homefront were draped over antique Hudson cars at the Hostetler’s Hudson Auto Museum. I’m not a “car person” but the color and design of these cars captured my fancy! 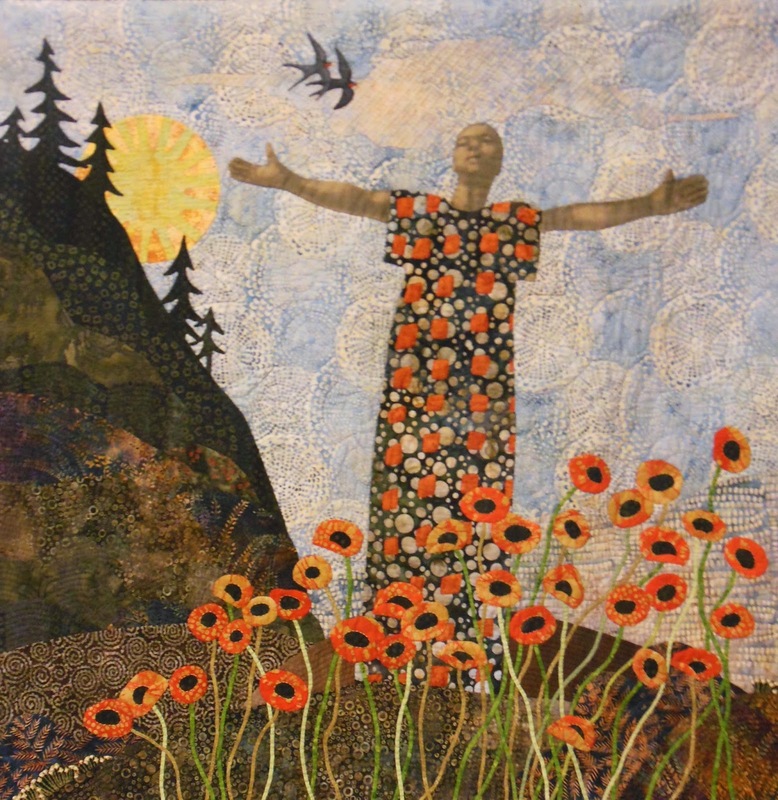 Back in the juried show we found many beautiful quilts to envy enjoy, but two in particular really stood out for me. 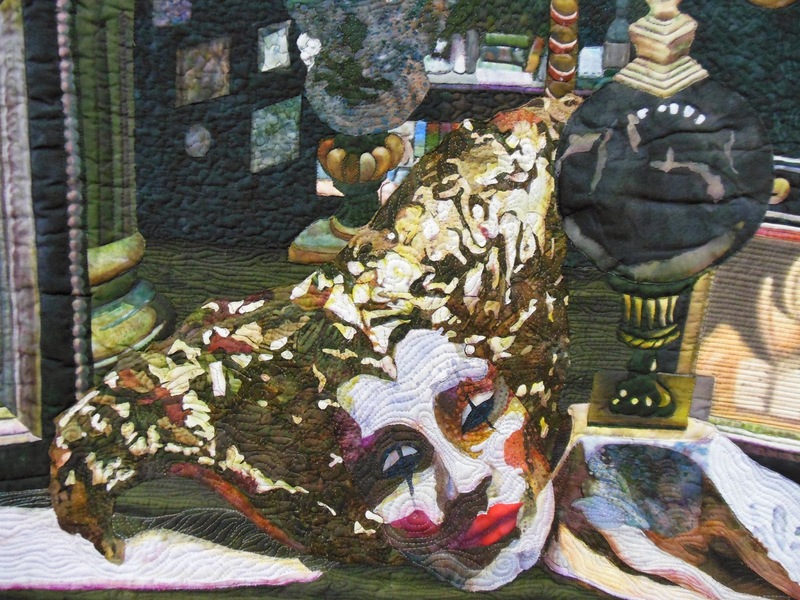 I was intrigued by the design complexity and painterly technique of Melissa Sobatka’s quilt, Venetian Menagerie. 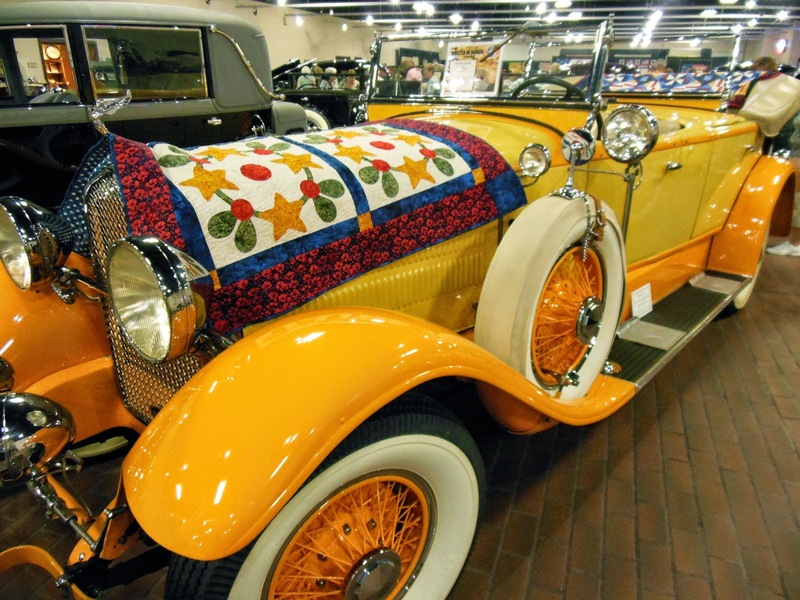 Still on the docket for our group this summer is a trip to the Michigan State University Museum, in our own backyard, to see some great SAQA quilts.